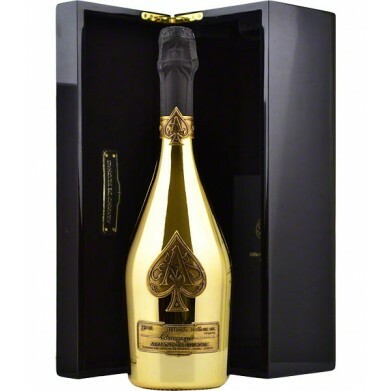 ARMAND DE BRIGNAC NV for only $299.99 in online liquor store. This is a three-way assemblage: three grape varieties – and equal percentage of Pinot Noir and Chardonnay with 20% of Pinot Meunier – and a blend of 3 vintages, 2009, 2010 and 2012. The nose is full of flavours and rich with notes of white flowers and crème patissière. However, the palate is crisp, fresh and delicate with a lovely creamy texture.